The goal of JCA Electronics is to enable innovators by putting together electrical, electronics, and software systems that implement our customer’s unique application ideas. We do this by providing technology building blocks that can be easily configured and adapted with application specific software, and providing the expertise to design robust and reliable systems using these building blocks. These building blocks include controller and telematics platforms, as well as software libraries and modules that can be used in our customer’s applications. JCA works to find the appropriate technologies for integration of our customer’s system, this may mean JCA developed product, but also could be partnering with third-party companies that bring expertise in a particular specialized area. 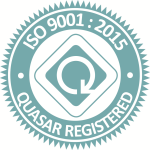 JCA is an ISO9001 registered company with engineering and manufacturing facilities located in Winnipeg, Canada. Our interest is to partner with our customers through all phases of the product lifecycle from concept through to production, and to provide high quality products and services at all phases. An environment that is always striving to increase its value to its customers. And driven to be recognized experts in applying the right control, communication and manufacturing techniques.